서울에 위치한 토이키노(ToyKino)는 애니메이션과 영화를 테마로 한 장난감 상설 전시관입니다. ‘애니메이션 갤러리’에서는 추억의 명작 미키마우스부터 픽사의 주요 작품은 물론 일본 원피스까지 전세계의 애니메이션 캐릭터를 만나보실 수 있습니다. 미키마우스, 백설공주와 일곱난장이, 신데렐라, 이상한 나라의 앨리스, 101마리의 달마시안, 정글북, 곰돌이 푸, 올리버와 친구들, 인어공주, 라이온 킹, 뮬란, 타잔, 피노키오, 라푼젤, 주먹왕 랄프, 토이 스토리, 벅스 라이프, 몬스터 주식회사, 니모를 찾아서, 인크레더블, 카, 월-E, 크리스마스의 악몽, 스머프, 더 심슨, 플레이모빌, 원피스 등의 인기 애니메이션 속으로 지금 떠나보실래요? 영화 속 소품을 재현한 프롭(Prop), 12인치 액션 피규어부터 라이프사이즈(Life-size)까지 영화 속 히어로를 만나고 싶다면? ‘영화 & 스포츠 갤러리’에서는 스타워즈, 슈퍼맨, 배트맨, 아이언맨, 스파이더맨, 캡틴아메리카, 헐크, 토르, 엑스맨, 어벤져스, 매트릭스, 인디아나존스, 로보캅, 블레이드, 고스트라이더, 판타스틱, 더 울버린, 그린랜턴, 왓치맨, 캣우먼, 반지의 제왕, 해리포터 등을 등장인물을 모두 만나실 수 있답니다. 아직 토이키노에 방문하지 못하셨다면, 지금 원더풀(Onederful)하세요! 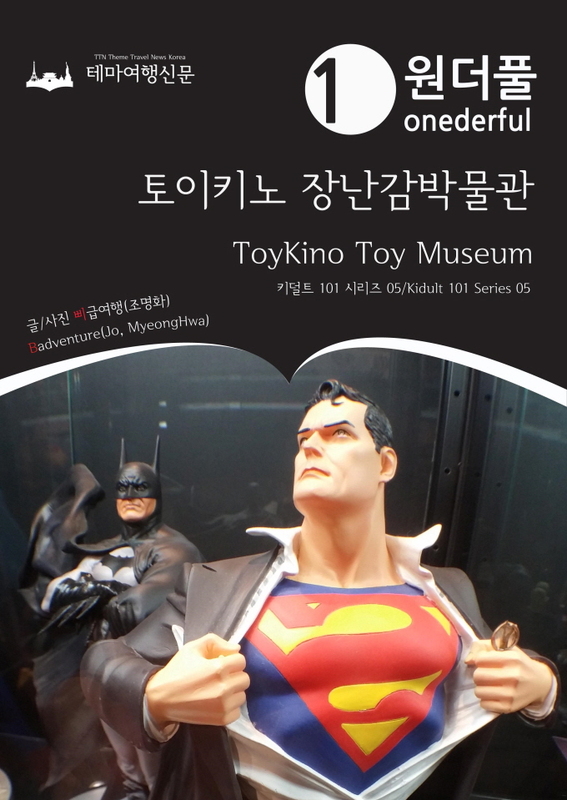 ToyKino in Seoul, Korea is Toy Museum which is specialized animation and movie characters. You can meet famous characters from Walt Disney's Mickey Mouse to One Piece's Loopy here! Enjoy with Snow White and the Seven Dwarfs, Cinderella, Alice in Wonderland, 101 Dalmatians, Jungle Book, Winnie the Pooh, Oliver & Friends, The Little Mermaid, The Lion King, Mulan, Tarzan, Pinocchio, Rapunzel, Wreck-It Ralph, Toy Story , a Bug's Life, Monsters, Inc., Finding Nemo, The Incredibles, Cars, Wall-E, The Nightmare before Christmas, The Smurfs, The Simpsons, Playmobil and so on. 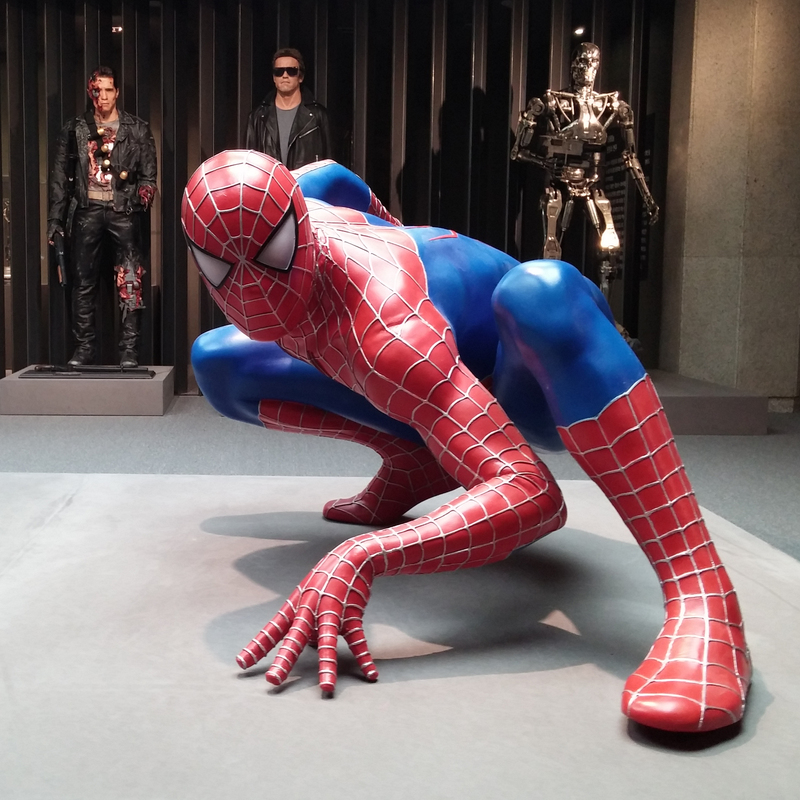 In Movie & Sports gallery, You can find a variety types of Superheros from 12inches Action Figures to Life-size! Adventure with Star Wars, Superman, Batman, Iron Man, Spiderman, Captain America, Hulk, Thor, X-Men, Avengers, Matrix, Indiana Jones, Robocop, Blade, Ghost Rider, Fantastic, The Wolverine, Green Lantern, Watchmen, Catwoman , the Lord of the Rings, Harry Potter and More! If you couldn't visit ToyKino yet, Onederful tonight!